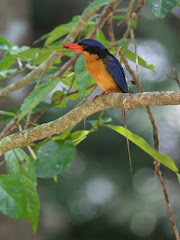 Red Mill House - Daintree Birdwatching: Kingfishers and much more! 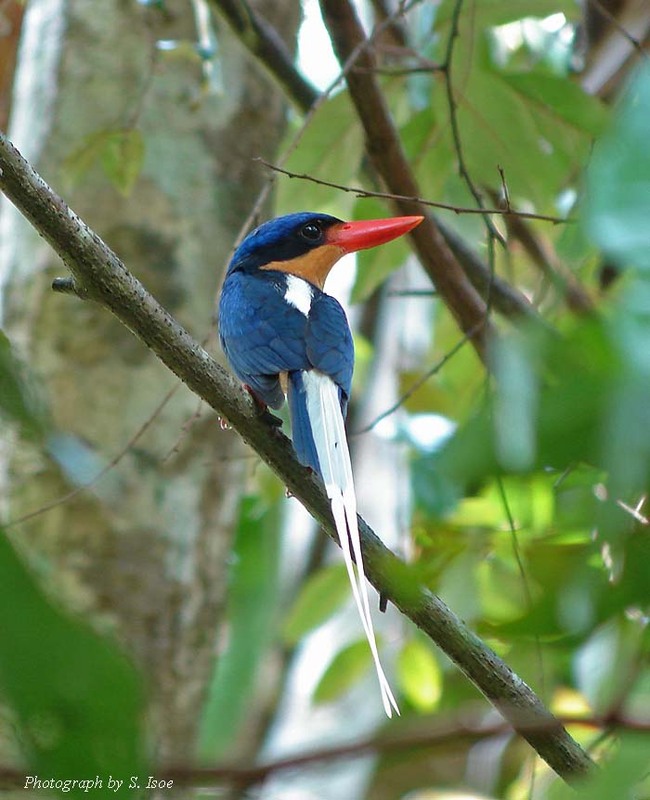 This is prime birdwatching time in Daintree and beyond. The weather is becoming warmer and there has been little rain (which means no mosquitoes) and the birds are becoming very visible around sources of water, whether it be a birdbath in the back garden and reducing wetland areas. It is a great time of year. 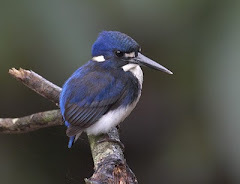 The Buff-breasted Paradise Kingfishers have paired up and started excavating the termite mounds. This beautiful one is a regular at the end of Stewart Creek Rd, where at least three pairs are beginning to nest. Another two pairs are at the top of the same road, with at least two more just beyond Harlow's Bridge. 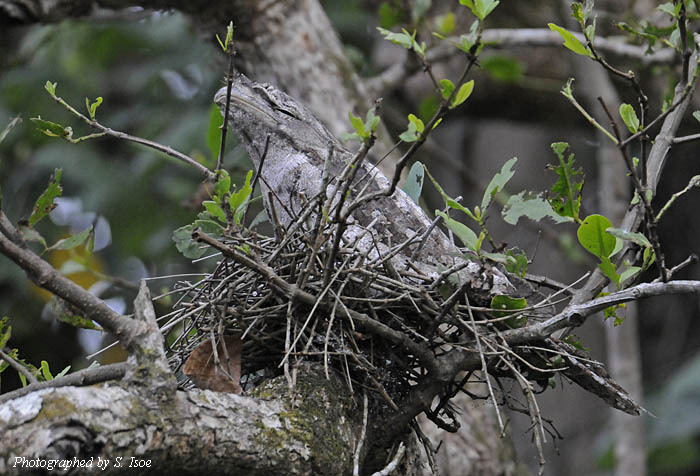 Papuan Frogmouth appear to be breeding successfully this year with 4 young spotted at different nests along the Daintree River. No sign of one on this nest a week ago. Brilliant disguise as always. 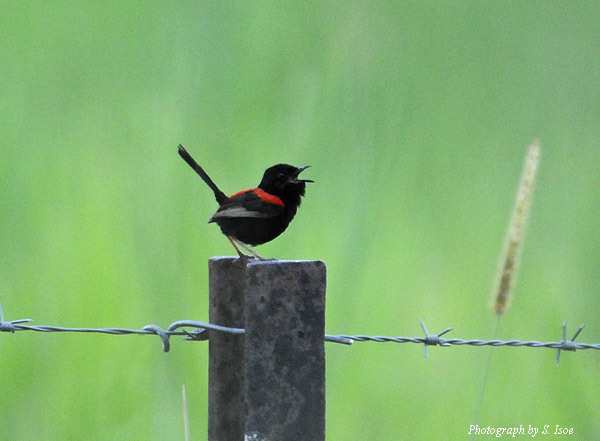 Fairy-Wrens are making appearances all over, it seems, in quite large family groups. A group of Lovely Fairy-Wren are spending a lot of time between the bird-baths of Red Mill House and the overflow from the Daintree water supply tank. Another two groups are near the end of Stewart Creek Rd. Red-backed Fairy-Wren, along with Golden-headed Cisticola, Tawny Grassbird and Chestnut-breasted Mannikin inhabit the grasslands just past the Harlow's Bridge. Other great birds in Daintree this week include Black Bittern, Cotton Pygmy-Goose, Wompoo Fruit-Dove, Double-eyed Fig-Parrott and Scaly-breasted Lorikeet. Thanks to Isoe-san for the use of his beautiful photos.